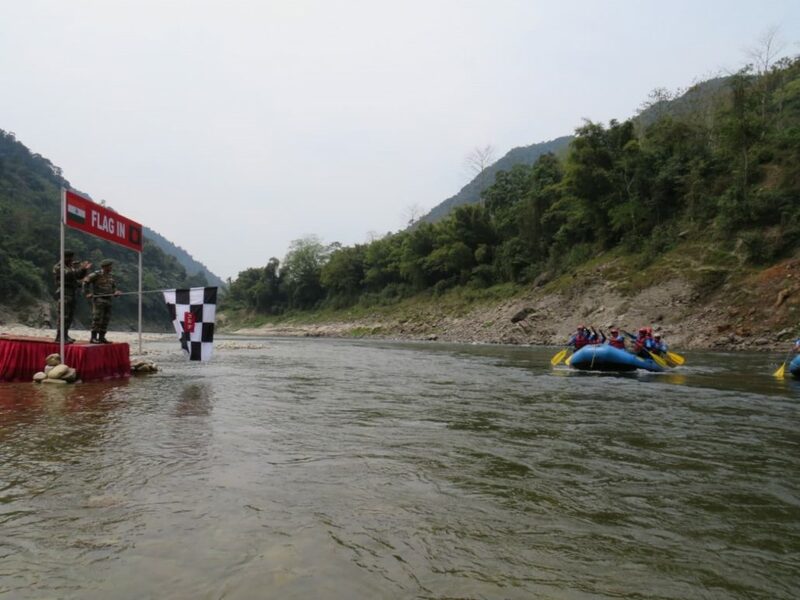 The three-day long joint Indo-Bangladesh White Water Rafting Expedition started from Tumbin in Arunachal Pradesh on Saturday and came to an end on Monday at Pangin. The expedition was led by Lieutenant Colonel BN Jha comprising three officers, one junior commissioned officer (JCO) and seven other ranks of Indian Army. The Bangladesh side was led by Captain Hasibur Rehman, one JCO and seven other ranks of Bangladesh Army. The expedition team covered the distance of 85 kms over Siyom River where Level 2 and Level 3 rapids were encountered en route. In a traditional flagging in ceremony organised by Along Military Station at Pangin, Brigadier Rajeev Thakur flagged in the expedition teams. The event was also attended by Brigadier C Dayalan and several other dignitaries. The Bangladesh team was “highly impressed” with the arrangements made by the Along Military Station authorities.